Perpetuuiti is a global enterprise software company focused on building Software products that address IT Service Continuity and Availability Assurance, Orchestration and Automation challenges for On-Premises or Cloud Deployments. 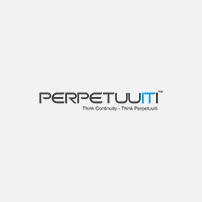 Perpetuuiti’s product family supports a combination of technologies enabling solutions (built in accordance with ISO 22301 standards) for Artificial Intelligence, Cognitive Computing, Machine Learning, Organizational BCP Automation, IT Service Continuity and Availability Management, Recovery Assurance, Robotic Software Automation, Intelligent Process Automation (IPA), Business Process Automation (BPA), Real-Time Auto Discovery of Application IT infrastructure and Application Interdependency Mapping, and Migration/Replication to Cloud. Perpetuuiti’s solutions have been well-accepted and appreciated by customers, major System Integrators, Cloud Service Providers, Hosting services Providers and Consultants. Since inception, the company and its products have been receiving Industry Recognitions by leading Global Analysts, Forums and Entities. Perpetuuiti is named a Gartner Cool Vendor in Business Continuity Management & IT Disaster Recovery Management for 2015 and also is included consecutively for the second year in the Gartner Hype Cycle for BCM and IT-DRM in 2015 and IT-SCM in 2014.